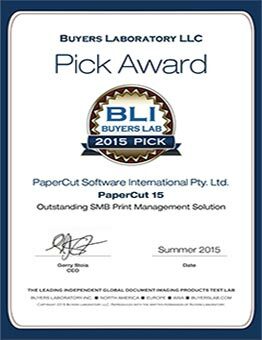 The renowned Buyers Lab team have again put PaperCut through a round of rigorous testing and awarded it another prized BLI Award. 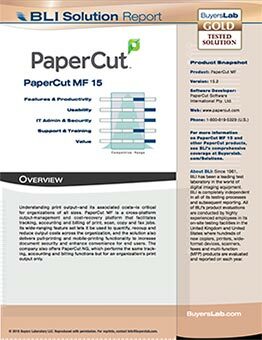 The independent review validates everyone’s decision to sell, support and purchase PaperCut. 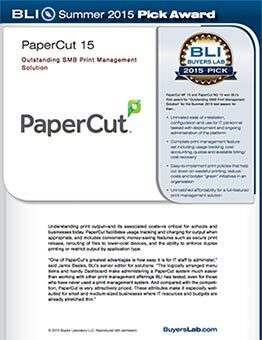 “At PaperCut, we work hard to bring easy-to-use print management solutions to businesses of all sizes. Small and medium business owners can quickly get the cost savings and the security benefits of PaperCut, without the large enterprise installation“, said Chris Dance, CEO of PaperCut Software. BLI is the imaging industry’s leading independent authority and provider of competitive intelligence, testing and reviews on multifunction (MFP), copier, printer, scanner and software solutions and products. 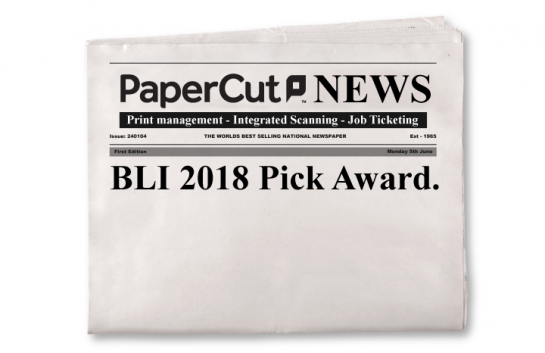 BLI 2018 Pick Award PaperCut! 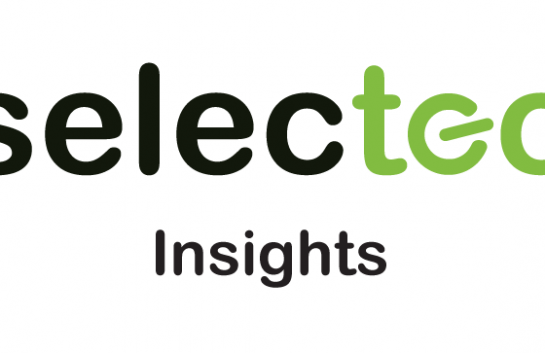 As Sales Director at Selectec, Stephen (AKA Big Ted) is the heart of the sales team. Addicted to lossless music and making his family use his Oculus Rift, he loves all things techy. Stephen lives in his own Gulliver's Travels world and is often caught off guard when he bumps into someone else way over 6ft 5ins.